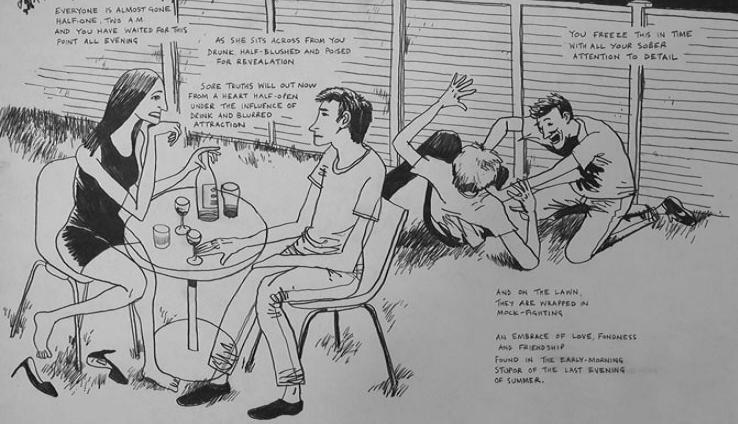 In the second of two interviews recorded during the Alternative Press Fair, Dickon Harris talks to comic book writer and artist Paul Ashley Brown about his work outside the St. Aloysius Social Club in Somers Town, London. Dickon and Paul discuss the latter’s latest small press comic – Browner Knowle – and the small press scene in London from Fast Fiction in the 1980s to the present day. Orbital Comics, 8 Gt Newport Street, London, WC2H 7JA will be hosting an exhibition of various artists’ contributions to the Solipsistic Pop comics anthology from 14-19 November 2009.
will be signing their wares on Thursday 19th November 2009 from 5:00 to 7:00. Johnny Cash was a seventeen-time Grammy winner who sold more than 90 million albums in his lifetime and became an icon of American music. Already a bestseller and award-winner in Europe, JOHNNY CASH: I SEE DARKNESS vividly portrays the unpredictable, turbulent life of a loner, patriot, outlaw, and music business rebel with all the drama and character befitting the man who became a legend in his own lifetime. The young peoples charity and publishers of the Ctrl.Alt.Shift Unmasks Corruption anthology present a workshop on making your own agit-pop posters. ‘Dawn of the Dead’ Screening, Sasquatch Cinema at Shortwave, Tuesday 17 November @ 7.15pm. The next film we will be showing is George Romero’s ‘Dawn of the Dead’ (Blu ray release) on Tuesday, 17 November at 19:15. The entry fee is £5.00 and zombie dress is optional. Tickets are sold on the night on a first come – first served basis. This entry was posted in Clear Spot, Panel Borders on November 17, 2009 by alexfitch.